I will be sharing my conversion story at Sts. Peter & Paul Catholic Church in Grand Rapids Michigan. Looking forward to meeting with all these enthusiastic Catholics excited to learn more and to serve Our Lord. 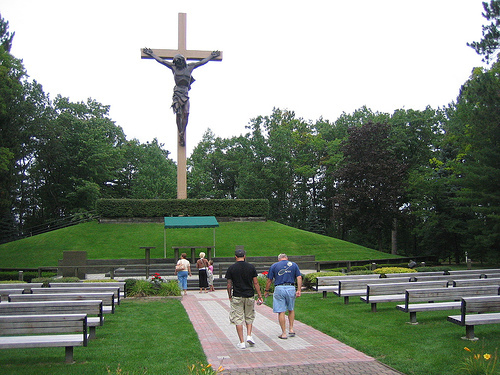 After that we go up nnorth in Michigan to stay with Janet’s family a few days and to visit the Shrine of the Cross in the Woods with the world’s largest crucifix. We’ll stop in and visit Baraga Catholic Radio — the local Catholic radio station — and maybe I’ll do a live segment with them. I’ll spend every free minute writing the CSS Bible study on 1 & 2 Corinthians. I’ll also keep the blog updated.